Cynthia Stavrou is a Reiki Master working with her clients to embrace their energy and harness their hidden power. 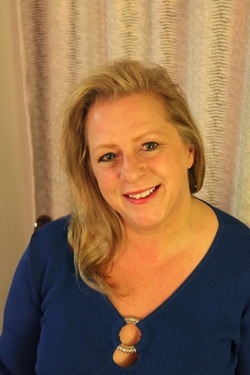 Sourcing spiritually guided energy, Cynthia balances the body’s energy centers and clears the energy pathways to promote health and well-being to her clients – body, mind, and spirit. Cynthia is also a Dream Builder, transforming lives as she journeys with her clients through the discovery and practice of Universal laws to achieve Prosperity and Abundance. An ordained Minister, Cynthia has the honor of performing celebrations such as wedding, transition, and commitment ceremonies, as well as home and work space cleansing and blessings. Cynthia is a student of the Universe and strives to constantly learn more about her craft, her gifts and her essence. What she learns, she brings back to her practice and shares through education and training. Learn more about Cynthia's education and specialties.